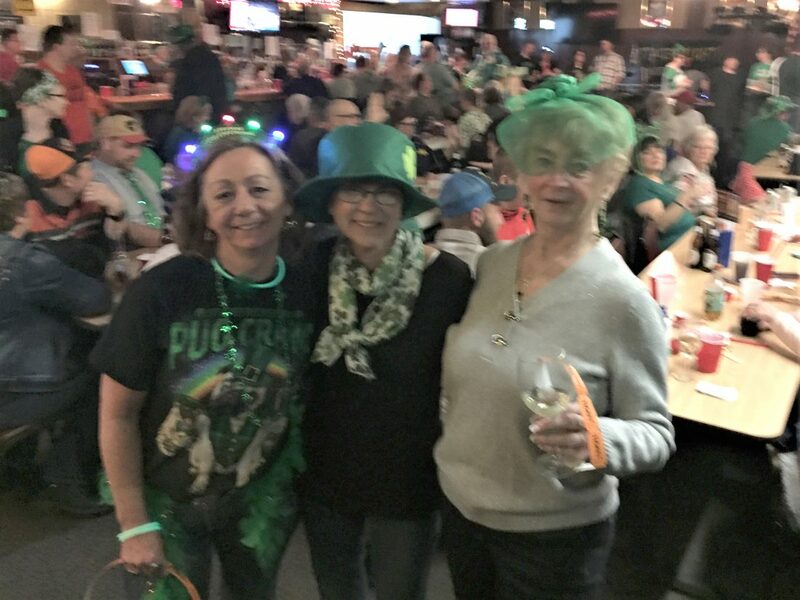 Party-goers go Irish at the Rockin’ St. Patty’s Day Rock & Roll Dance Party on Saturday in Rogers City. Sponsored by Calcite Credit Union, the annual event raises funds for Friends Together to provide needed services for local residents dealing with the everyday challenges of cancer. Numbers aren’t in for this year’s party yet, but last year the event, which features dancing, raffles, auctions, and food, raised almost $11,000, organizers say.